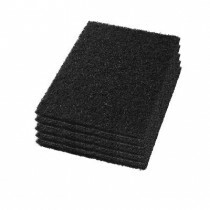 Black Rectangular Stripping Pads - 12" x 18"
Due to MAP (Minimum Advertised Price) we can not advertise a price lower than what is listed. 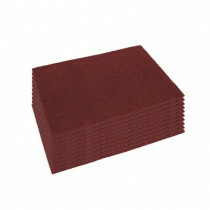 However, we can offer this product at a lower price over the phone or through email. Copyright © 2019 FloorBuffers.com, All Rights Reserved. FloorBuffers.com is not responsible for typographical or photographic errors. Prices and specifications are subject to change without notice.